December 6, 2018 November 21, 2018 by Dr. Lisa Oskardmay DC, LAc. Cupping is an ancient Chinese therapy that many people have heard of in conjunction with the Olympics as a treatment for muscle aches. Were you also aware that cupping can be an effective treatment for cold and flu symptoms? That’s because cupping relieves congestion in the body and stimulates movement of energy to restore and heal. Cupping deep tissue massage improves blood flow and helps to detoxify the area cupped and connected regions. Cupping utilizes silicon or glass shaped `cups` under which vacuum is created via suction or oxygen consumption. When placed on the skin and slid across trigger points and knots, cupping is an unparalleled example of transverse friction massage combined with skin lifting technique. Common areas of application for persons suffering from congestion, colds and flu include the midback between the shoulder blades, the upper back and shoulders, and lower back just below the ribs around the diaphragm. Stimulation of these areas with cupping reduces muscle spasm and helps with respiration and lymph flow. Following cupping you ill experience redness and warming to the area cupped as blood flow is increased and the skin and underlying muscles are rubbed with friction. Essential oils and ointments can be applied on the skin surface prior to cupping. Oils such as eucalyptus, lavender and frankincense are anti-inflammatory, warming and pain relieving. These and other oils aid in circulation and naturally support the immune system. Other oil choices can include: oregano, rosemary, tea tree, lemon, lemongrass, peppermint, cinnamon, clove bud, grapefruit, sandalwood, basil, juniper berry, thyme, sage, ginger, cypress, and pine. A few drops of each essential oil can be added to a carrier neutral oil and massaged into the skin. Cupping performs gentle exfoliation and blood flow stimulation which helps the oil absorb while also helping to `exteriorize` toxins and reduce stagnation in general. Persistent cupping marks that stay on the body post-cupping can be unsightly and undesirable to some. These can be avoided by moving the cups around and reducing the amount of time the cup is left in one place. Discuss this and other treatment goals with your practitioner prior to treatment. Also, some people may be concerned with the use of hot glass cups and the potential for burning of the skin. Many practitioners use unheated silicon cups today to avoid that concern. You may receive cupping therapy as part of a holistic treatment regimen for cold and flu that also includes acupuncture treatment or the chiropractic adjustment, or all three together. These alternative medicine remedies for cold and flu are very effective for improving overall health and the body’s ability to heal itself naturally. 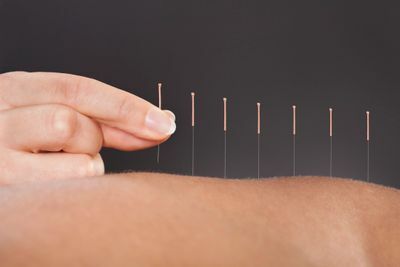 Acupuncture meridian therapy improves metal yin (lung) and water yin (kidney) energy flow to heal the lungs and reduce stress in the body overall. Chiropractic adjustments to the neck and back improve nerve flow to vital organs such as the lungs and heart, and increase respiratory motion under the ribs and reduce congestion in the chest. Cupping works well with these treatments. Following cupping therapy for colds and flu, keep the cupped area covered for 24 hours to avoid cold and wind exposure of the cupped area. If possible, try to retain warmth and rest for several hours to allow the treatment to take its full effect. When you aren’t feeling well, contact your acupuncture and chiropractor provider to see if cupping can help you. It can improve your health and well-being on many levels.